Total fossil fuel subsidies worth almost $9 billion have been identified by research in Australia. Australian governments (federal, state and territory) continue to use subsidies to achieve environmental and social goals. This may be justifiable where the cost of the subsidy is less than the value of the environmental and social gain that results from the subsidy. $8.1 billion (91%) of the total fossil fuel subsidies identified are likely to increase GHG emissions above the unsubsidised level. There is a much stronger argument for removal of these subsidies than for fossil fuel subsidies in general. In many cases, the subsidy can be restructured to achieve the desired economic or social objectives without encouraging increased GHG emissions. 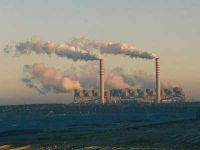 About 58% of the total fossil fuel subsidies identified are perverse subsidies as they increase GHG emissions while at the same time reducing economic efficiency. Removal of these perverse subsidies can provide a ‘double dividend’ of greenhouse abatement and improved economic performance. Funds returned by removing fossil fuel subsidies can be shifted to sustainable energy systems, incorporating energy efficiency and renewable energy. Such subsidisation can be justified to offset the unpaid social and environmental costs of competing fossil fuel technologies. There is also an argument for providing temporary subsidies to emerging industries of strategic importance until such industries can compete with more established industries. The public funds currently used to subsidise fossil fuel production and consumption could justifiably be used to subsidise the emerging sustainable energy industry, as establishment of this industry would constitute a public good. Removal of fossil fuel subsidies in Australia offers an attractive greenhouse abatement option. It also provides a possible source of funding for more costly greenhouse abatement options, which may be required if deep cuts in GHG emissions are contemplated in the future. This page was last modified 23:27, 17 March 2010. This page has been accessed 27,345 times.